Sometimes, though, when daily expenses challenge their cash flow, North Carolina small business owners must prioritize spending. Many times, unfortunately, Mr. Ford’s advice is ignored and buying commercials on Fayetteville radio will move down the list behind making payroll, maintaining delivery vehicles, and replenishing stock. A lot of times advertising doesn’t make the list at all. Some local business owners have discovered that their radio advertising doesn’t have to be sacrificed at all when belts need to be tightened. It turns out, there’s a deep pool of “free money” that can be dipped into for the singular purpose of advertising. These funds are called cooperative funds, or co-op for short. Inc. Magazine defines co-op advertising as “the sharing of costs for locally place advertising between a retailer and a manufacturer of the products they sell.” Often times, the manufacturer will cover 100% of the cost of advertising. In other words, free advertising. Manufacturers love co-op because it extends the marketing of their products. Fayetteville small business owners love co-op funds because they contribute to the growth of their businesses through consistent advertising. According to BIA Advisory Services, more than 40% of all small business owners qualify for co-op funds. It is also reported that less than half of the $70-billion available is ever claimed by business owners. Master Spas, for instance, is the largest hot-tub manufacturer in the world. There are a dozen or so North Carolina small business owners who sell these products. Each dealer accrues co-op funds equal to .75% of the wholesale cost for each spa purchased from Master Spas during 2017. If a Master Spas dealer in Cumberland County purchased $750,000 in inventory from the manufacturer last year, then the local dealer would receive $5400 to for advertising. This could include buying commercials on Fayetteville radio. To claim co-op funds, small business owners must comply with each manufacturer’s guidelines. 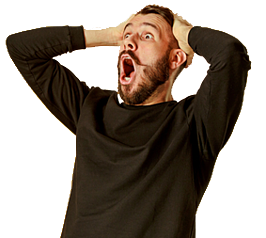 Master Spas for instance requires pre-approval for dealer radio commercials; product exclusivity within the commercial; and a notarized affidavit of performance from the participating radio stations. A tiny bit of work for free advertising money. Not every manufacturer offers 100% co-op reimbursement. But most do offer support. These plans generally fall into six categories. Fayetteville small business owners should ask each of their vendors which type of plan they offer. Unlimited Plan: Manufacturer and retailer each pay part of the ad cost, but accruals are not tied do any purchases. Manufacturer may state maximum $$ or maximum number of ads. Bonus Plan: Added participation or accruals are based on specific manufacturer promotions or new product introductions. Negotiable Plan: All elements (accrual, participation, term, etc.) are negotiable with manufacturer sales operations and may include parts of other plan types. The US Small Business Administration advises, "Advertising, if done correctly, can do wonders for your product sales, and you know what that means: more revenue and more success for your business." 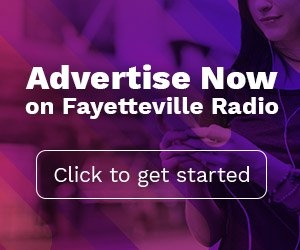 So, why wouldn’t a North Carolina small business advertise on Fayetteville radio, especially when it can be done with someone else’s money?